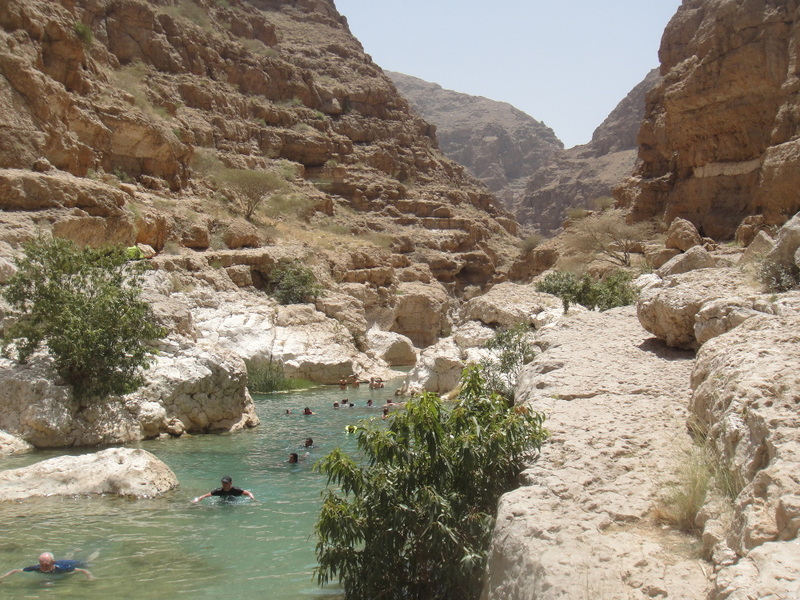 Wadi Shab is the most popular wadi in Oman, and also one of the main day tours from Muscat, its capital. 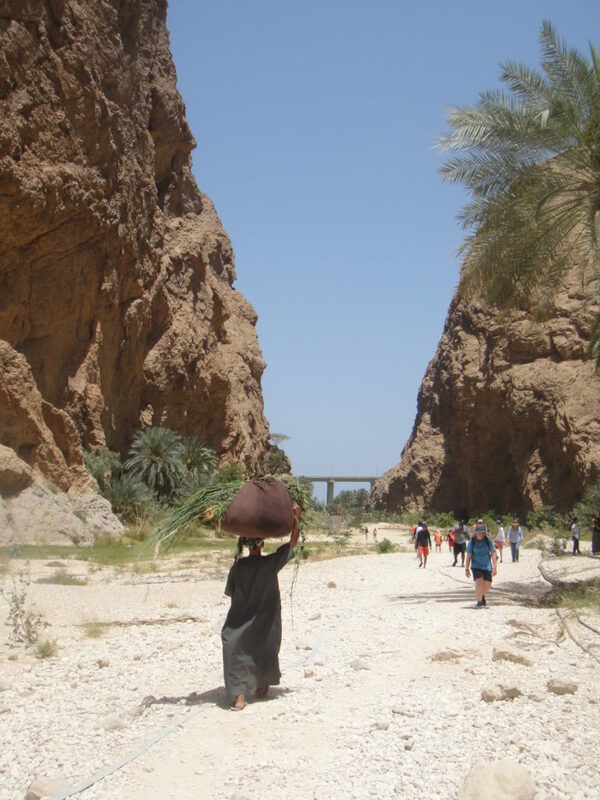 Wadi is the Arabic and Hebrew term traditionally referring to a valley, or it may refer to a dry riverbed that contains water only during times of heavy rain [Wikipedia]. It is essentially a gorge between cliffs, where a fresh stream of water heads towards the coast. 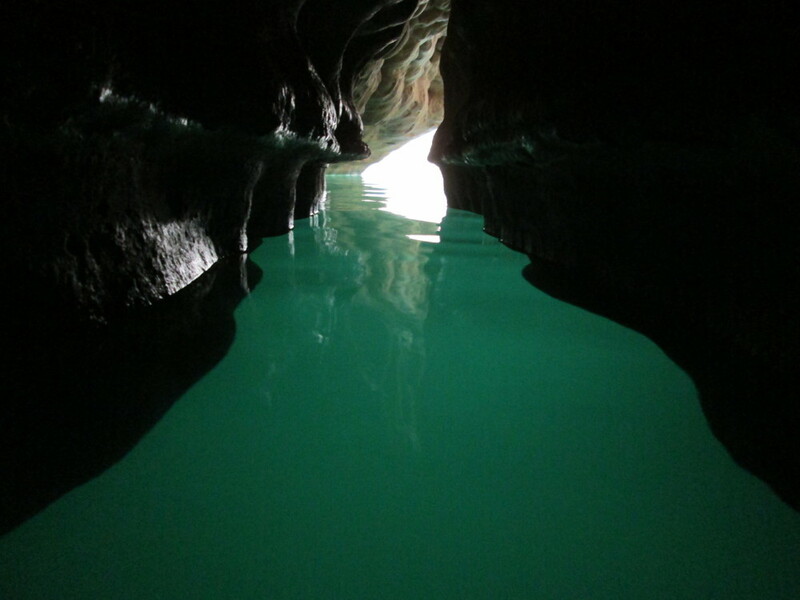 You start from its river mouth and walk all the way to its source of water, where a beautiful and unique cave rewards those who made it. The whole walk is quite natural, with little signs, plenty of rocks, turquoise pools and waterfalls. 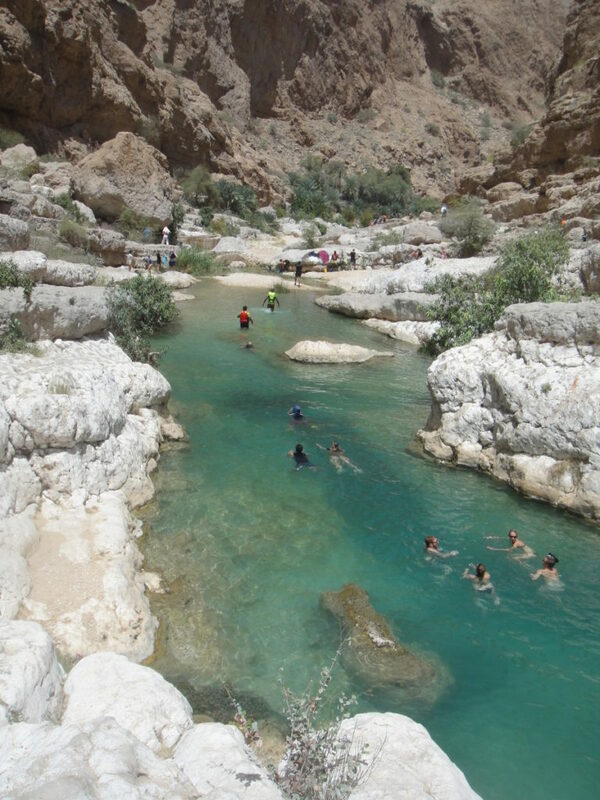 Temperatures in Oman can be extremely high during summer (up to 50C/122F), so the best time to go is during Winter. The most pleasant weather is from October through to April. Also, water levels can change drastically and can affect your visit, so avoiding summer is fundamental. There are only two suitable options: you either rent a car or you take a tour (Viator, Get Your Guide, Klook). I would strongly recommend the former. In general, you always need a car in Oman (and in most places in the Middle East), as due to high temperatures there is little public transport and everybody drives. 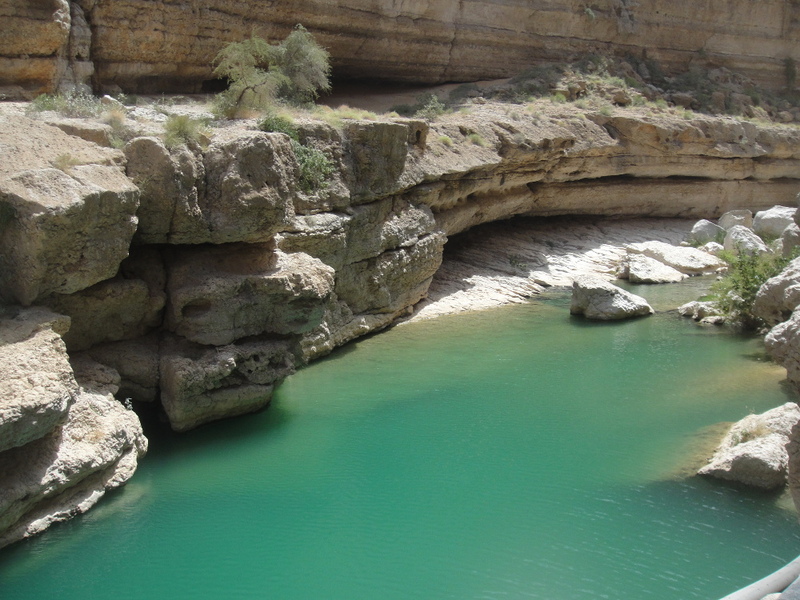 It is about 1-hour drive from Muscat and 40 minutes from Sur. It is quite easy to get there, the road is well indicated and any Sat-Nav/GPS should have it as well. 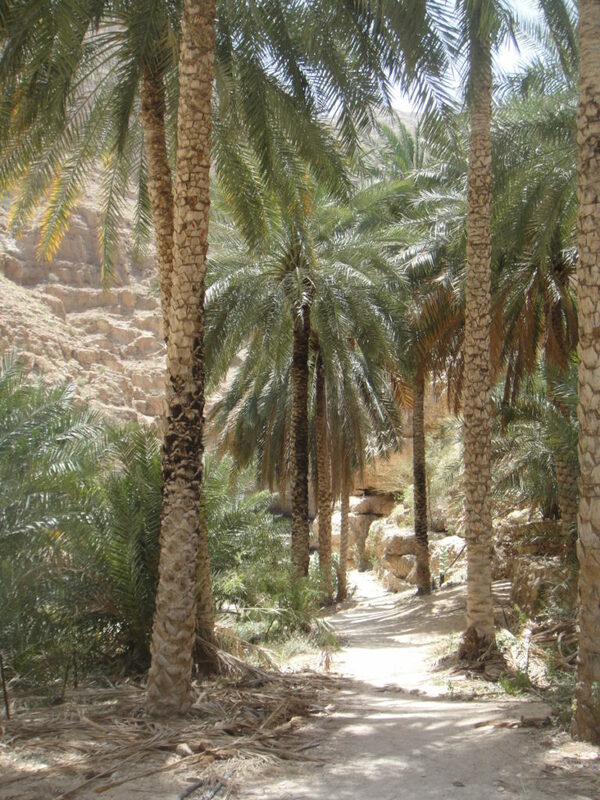 Coming from Muscat it is just before the town of Tiwi. If you do not mind to carry a bag, I would encourage you to bring all the items in the list below. One important clarification here is that you may need to leave your belongings unattended at some point. This will depend if you are planning to swim and if you are on your own or not. Most people just leave their stuff on a rock (I did it as well without any problem). Trainers: the hike is not difficult, but you occasionally need to jump or squeeze between rocks. Flip flops are not ideal. Water: even during winter, the weather can be very hot. And it is most of the year sunny. So one or two bottles per person at least. There is one tiny shop on each side of the river where you can purchase water, but I was told that they are not open all the time so better to bring your own. Camera: of course you will want to take pictures, just take the clarification above into consideration. 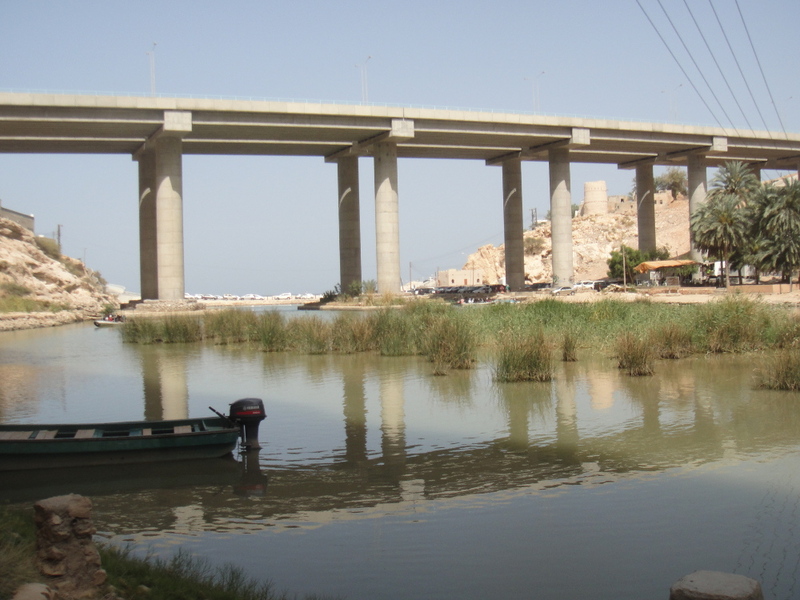 Money: you only need 1 OMR (Omani Rial) to pay the boat that crosses the river. Water shoes/sandals: this could also be essential if you don’t like to walk on rocks while you enter one of the natural pools. If you don’t mind rocky beaches/rivers, you don’t need them. Food: snacks and/or fruits can be a good option as well. Dry clothes and/or towel: you may want to consider this as well. Probably having some dry clothes in the car is a good idea. Once you get there, you will see a parking space and a few boats for crossing the river. The boats can accommodate around 6 or 7 people and the cost of the trip is 1 OMR per person. There is no much infrastructure, so better to bring all that you need with you. As I explained above, there was a small shop selling water on each side of the river, but I was told that they are not open all the time. There is also a toilet next to the parking space. The closer alternative option to buy stuff or have some rest is the town of Tiwi. I passed some places that were used by tours as a stop. In the picture below you can see the tiny shop (orange tent) and the parking lot behind. It takes about an hour to walk all the way to the end of the footpath. The first half is quite flat and easy, as you can see in the first two pictures below. This part is not hard to hike at all, and you will find some small farms using the water as their irrigation system. The second half is not as easy as the first one. The footpath takes you above the water level, and you need to wade through streams of water and climb over rocks. You do not have to be super fit to do it, but you will need to jump over a few rocks and of course, you need to be willing to get wet. The path is well indicated for the most part, but there was an area not that easy to follow. After some hesitation, I found my way and it turns out that there were some arrows painted on the rocks, which were not highlighted enough. Do not panic if you do not find it straight away, there are always more people around and at the end, all possible footpaths converge. There are quite a few places where you can swim along the way, you do not need to wait until the end. 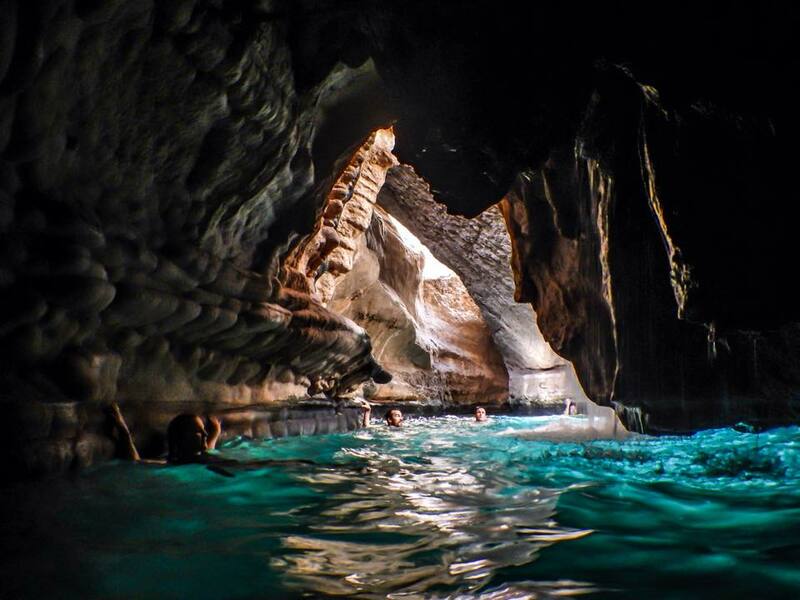 This can change depending on the water level, but for sure you will find at least 5 different “natural pools”. 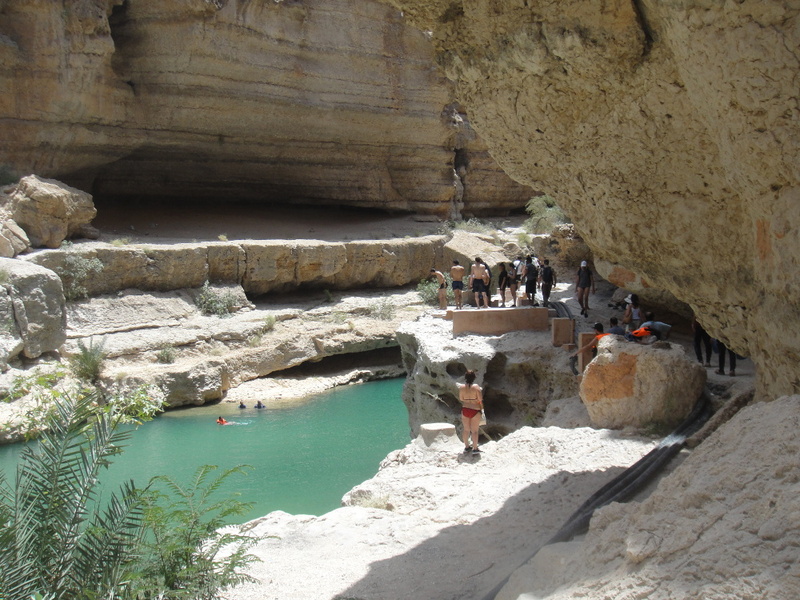 There is also a very good spot for cliff diving, as you can see in the picture below. You can easily identify it because of its height and a piece of construction, which is not common along the footpath. The last pool is at the end of the footpath, and you can see it in the picture below. It is about 50m long, and there a few different pools separated by small areas of rocks and/or pebbles. Some of them are deep and you can only swim, but others are not and you can simply walk. Another warning here. You need to get out of the water to go from one pool to the other. These areas can be slippery and uncomfortable under the feet. You should not have problems at all with water shoes, but without them, you just need to be careful. You can walk over the rocks and then descend from the top of the cave, where there is a rope for this purpose. You can swim about 50m, then cross a narrow passage (only 1 person at the time) which is actually a crack on a huge rock, and you are in. I recommend the latter as the tiny passage is beautiful and it feels kind of adventurous. But be careful here: if the water level is high the crack will be submerged and it can be dangerous. If it is low, there should be enough space for your head (again, 1 at a time!) so you can squeeze into the crack and reach the cave. If you are staying or spending some time in Muscat, I would also recommend our posts: Best Resturants in Muscat and Best of Muscat, Things to do, see and eat. If you would rather take a private tour, you can use our favourite vendors: Get Your Guide, Klook, Viator.